My Favorite Vegan Breakfast Green Smoothie! Home/My Favorite Vegan Breakfast Green Smoothie! 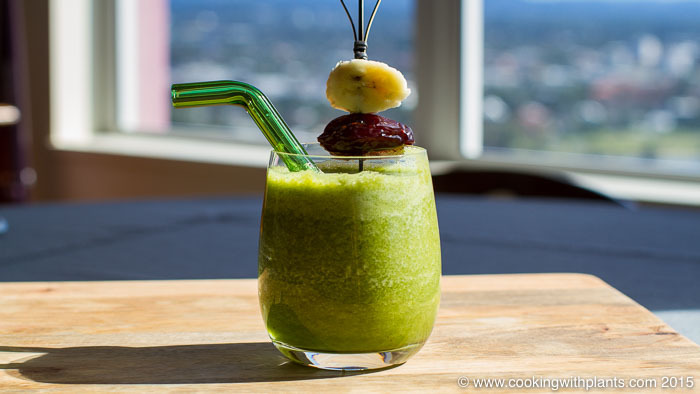 Today I show you how to make my favorite vegan green breakfast smoothie. This is super quick and easy to make and it tastes delicious. It is a great healthy way to start your day – especially if you are busy trying to get to work or taking kids to school etc. Now there is no excuse not to have a healthy breakfast. Add all of the ingredients to a blender and blend until smooth and creamy. Mine took about half a minute. Enjoy!